Today, Transport for London (TfL) is anticipated to give gave the go-ahead to build safe, segregated/protected cycle lanes across a route in central London. What is happening here is good for business: in every single city that has installed segregated protected cycle lanes, the congestion has gone down. Why? Because people are switching from cars to cycling. Every person that switches from a car to a bicycle is taking congestion off London’s roads. That is good for business in 2 ways: one it means there is more room for the business traffic and secondly it reduces the impact on the employees of the businesses. On the consultation, businesses representing over 100,000 workers said ‘we must go ahead with this because the health of our employees is important to us’. Over the last 5 to 6 years, with the increase in cycling, congestion in central London has gone down. It is extraordinary: London’s population is increasing and congestion is going down. Why? Because significant numbers of employees are switching from public transport and cars to cycling. This is a good news story that is already happening on these very roads. 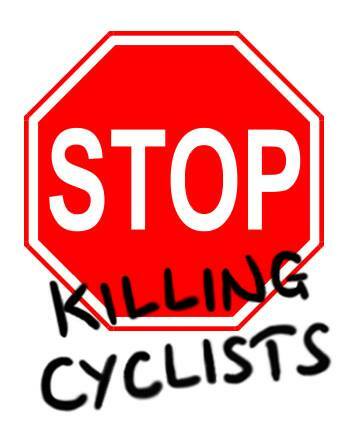 We absolutely support proposals to make cycling safer. We are very much behind that. However we feel these schemes…have been rushed through by TfL. There hasn’t been enough information about the impacts to enable people to make a full assessment…. It is more about making sure the impacts on businesses are mitigated. The Cycle Superhighway consultations had an overall full support rate of 93% (info here). 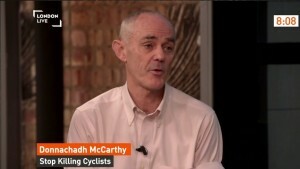 Campaign group CyclingWorks.London states that over 170 businesses, employing more than 100,000 Londoners have backed the scheme, including Rothschild, Unilever, the Financial Times, Universal Music, Microsoft, Orange, Land Securities, Coca-Cola Europe and the Royal Opera House. In addition to this all four major trauma centers, the London Air Ambulnce and the City of London Police and Southwark Cathedral are calling for the routes to be implemented. The TfL responses to the consultations are here: EAST-WEST and NORTH-SOUTH.